Do Ozone Generators Work to Remove Odors? The Elimination List! C. Do ozone generators work on all smells? There are some terrible smells out there and there are many ways to remove them. One of the most efficient ways to remove these things is an ozone generator. An ozone generator removes all sorts of odors. Ozone generators can remove curry smells, skunk smells, and ozone generators can even remove smoke smells, too! These ozone generators can even kill mold and remove viruses. To put it simply, ozone generators are best at removing odors. Many things boast removing odors, but nothing can really come close to the power of an ozone generator. However, ozone generators can also be dangerous. They get a lot of flak because of the dangers, but they’re one of the most effective if you use them properly. The only thing you really have to do is use them in unoccupied spaces. Ozone is dangerous to humans, pets, and even plants, so never breathe it in if you can help it. Since ozone gas is very reactive to organic material, it puts living things in danger. It can cause a few breathing problems and is quite detrimental to people who have lung diseases. Those that have asthma or mesothelioma can have worsening reactions to ozone. It can mess with our cells and cause inflammation and sinus problems if you breathe it in. However, don’t let that turn you away from an ozone generator, especially if you’ve tried everything else. Ozone is the gas created whenever an oxygen molecule gains a third oxygen atom. 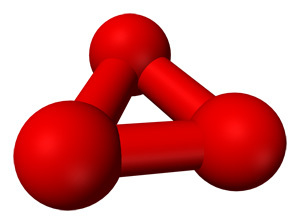 Normal oxygen molecules have two oxygen atoms, but an ozone gas molecule has an additional one. Ozone generators attach the third oxygen atom to create the gas before pushing it back into the air or water. Whenever this happens, it is heavier than normal oxygen, so it will sink toward lower levels. The thing that makes ozone dangerous is its reactivity. Since it is highly reactive, it gets into other molecules and disrupts them. That’s why it is harmful to humans, animals, and plants. Organic material, like cells, will take this ozone gas in and it will mess with its molecules. This leads to inflamed lungs, sinus problems, and sometimes rashes. However, since that is true, it is also true for microbes like bacteria, viruses, and even mold. The ozone will get into the deep, inner workings of those cells and break them down. It will change them into something else and slowly neutralize those odor-causing bacteria. If you run an ozone generator for a few hours, it will kill them and remove the odors altogether. One of the better notes about ozone is that it doesn’t stay like that when it’s not in the atmosphere. Those three molecules will separate from its gained atom, becoming regular, breathable oxygen again. After you turn off an ozone generator, all you have to do is wait a couple of hours and it will all turn back to normal air. Why do things smell bad? Bacteria are what cause those offensive odors you might smell around your home. The fact is that bacteria are all around us at all times, but these can grow where they shouldn’t be. It can get in your clothes, on your furniture and flooring, and even in your car. This is one of the reasons we bathe—it’s to wash away all that bacteria off so we don’t stink! Our brains have adapted over thousands of years, being able to tell what smells good and bad. Scientists have said that molecules have certain smells, so it tells us if something is fine or if something should be stayed away from. Odors, of course, aren’t good. Our brain tells us that there’s obviously something wrong and it shouldn’t be there. Anything can gain a bad smell, especially our bodies. This is because those chemicals and those bacteria grow in those deep crevices and other places. These bacteria cells can grow on many surfaces, including food and water. 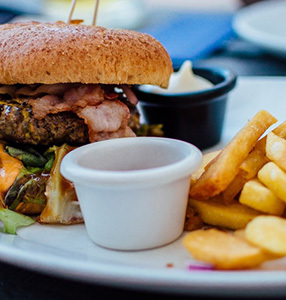 That’s why it’s a good idea to smell food before we eat it—if it’s rotting or getting close to that, our brains will alert us to that through the smells. Do ozone generators work on all smells? The short answer is yes, it usually works on all smells. There are hardly any bad odors that can stand up to the power of ozone. Since the small particles are affected by ozone molecules, it will neutralize them and either destroy them or turn them into something else. If they’re turned into something else, they won’t smell anymore and will simply fade into nothingness or mesh with something else in the air. The process takes a long time, which is why you have to run an ozone generator for about 3 to 6 hours in a room. You might have to go farther if you want to treat an entire home, being up to 30 hours or at least 5-6 hours for each room. It depends highly on what type of home you have and how big the rooms are, but this is usually the case for all things. There are some portable ozone generators that you can take around, too. Many hunters use ozone generators to help them hunt, some of them highly customized for hunting. Some people use their ozone generators for their pool or water filtration. Ozone will remove all of these small microbes that cause offensive odors better than anything else. Of course, remember to exercise caution when dealing with ozone generators. No odor-causing bacteria are safe from ozone! Keep in mind that there are specific things that need to be done with each of these odors. However, an ozone generator can remove each of these smells. Ever heard of that “locker room smell”? Even if we bathe our bodies and wash our clothes, our scents and oils can mesh in other places. Common areas that this happens are the living room and bedroom. Even when you wash your sheets every week or two, that body odor will still seem to persist. Unfortunately, our sweat evaporates and carries our scent into other areas like the curtains, on furniture cushions, and more. The thing about ozone is that it can’t penetrate deep into cushions. A good rule of thumb is to get some sort of odor-removing spray or liquid to wash these cushions and surfaces. Something like Febreeze or Fresh Wave is a good thing to use before you go with an ozone generator. Spraying or washing these things will assist in removing the odor-causing bacteria first. After that, you can use your ozone generator. Set it up in an area close to where the odors are coming from. It can be placed near your furniture, near curtains, or simply in the middle of the room. Leaving it on for 3-6 hours will eliminate any smells in the air and make your room smell as clean as the first day you purchased your home. Of course, you shouldn’t be in the same room while running it. Make sure you take any pets or plants out, as well. Let’s face it: tobacco stinks. Marijuana stinks, too. A lot of people call it skunk grass for a reason, but tobacco isn’t any better. 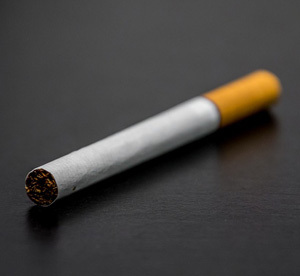 Cigarette smoke stains and leaves unattractive discolorations in places. It stains ceilings, furniture, clothes, and even your body. That smoke smell will stick around for a long time unless you really try to remove it. The first thing one should do with dealing with cigarette smoke is to remove the source altogether. Marijuana is a lot different than tobacco, but it will still leave a gross smell. These odors are left by the chemicals in the marijuana themselves, but smoking tobacco is very bad for your health. Removing the smell of tobacco and cigarette smoke will help people stop, as well. The smell causes cravings to arise again, so using an ozone generator will assist with removing it all. It will get into the chemicals in clothes and furniture and neutralize these harmful molecules. Simply setting it up near the affected areas will destroy these particles. Remember to leave it running for 3-6 hours if in a room. Hanging your affected clothes up nearby will help, too. If you are moving into a new house or a similar reason that has cigarette smoke smell, it's likely best to buy an ozone generator and treat the entire house for 24 to 36 hours with a commercial grande ozone generator before moving in. If you are a smoker and want to control the odors in your home/apartment, then you would likely need a combination unit. 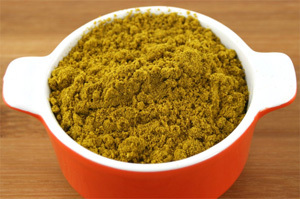 Many people love to cook, but curry is one of the foods with the most aromas. This aroma can be very offensive to some people, so there’s nothing wrong with wanting to get rid of it. While aromas can be masked by sprays, they won’t eliminate it completely. There are many other foods that can leave offensive odors, like garlic and cabbage, which ozone generators can help with too. Using an ozone generator in the kitchen isn’t unheard of. There are many scents that can appear in this room, so it’s not a bad idea to use an ozone generator there. Kitchens have a lot of metal in them, however. Be sure to cover any sort of cookware or kitchen utensils that you don’t want to have possibly ruined. Ozone affects metal badly and causes it to prematurely rust. Simply covering them with a bag or tarp will work fine. Set the ozone generator on a stool or some sort of platform and allow the ozone to fill the room for about three to six hours. Remember, you shouldn’t breathe in ozone and it’s advised against running it with people in the room. Kitchens are usually open areas, so you may have to leave the house while it runs. After the running time, you have to wait a little bit longer for the ozone to separate again. This should only take one to two hours, so make sure you have somewhere to stay while it operates. Remember not to breathe in the ozone! Whenever it is done, your kitchen will smell as if you’ve never cooked in it. That curry smell, possibly seafood and more, will be gone. It will be gone from your curtains and cabinets, as well as your table and chairs. That curry smell can get everywhere and it’s not pleasant. Then again, that’s not the only thing that can cause odors. Things like shellfish and other seafood, some old garbage, and more will produce some pretty gross smells. If you’re an outdoor type of person, there are times when you come into contact with some pretty questionable animals. This is especially true if you’re hunting or have dogs to walk. At night, there are smaller animals that come to try to survive. This means that their defenses are up, too. 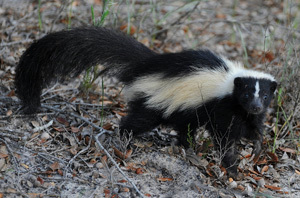 There’s one animal that causes an odor more rancid than any other: the skunk. Skunks will lift their tail and spray you or your pets with a disgusting, horrible-smelling liquid. It will stain your clothes, skin, and your pet’s fur. It’s extremely difficult to get out, especially with materials that are absorbent. People resort to things like tomato sauce baths, throwing out clothes, and even shaving their pets, but it doesn't have to be that way. 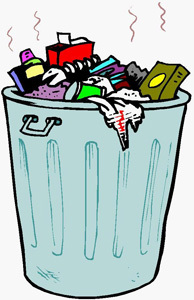 While two of these things may not be avoidable, you don’t have to throw anything out! If you’re looking to get rid of those gross smells, a thorough washing should be done first. This will get any of the excess liquids off the material. After that, hanging your clothes up near an ozone generator will be optimal. It doesn’t have to be directly against the clothing, but nearby would be a beneficial placement. Letting it run over your clothes for about 1-2 hours would be the best time for it. The ozone will neutralize the scent particles and eradicate the smell. Of course, remember not to be around ozone generators when they are active. Ozone is dangerous to breathe in, as stated in all the cautionary messages. Be sure to use it in an enclosed area and make sure there are no living things around it. This can be in a closet or room as long as no one is present. After it runs, you must let it sit for another 1-2 hours so you don’t breathe it in. While the ozone generator works great on clothing, it doesn't work so well on pets and people. To get the odor off of yourself and your pets, grab some Skunk-Off. 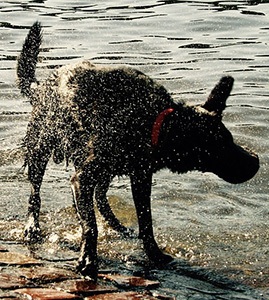 While no one really enjoys that “wet dog smell”, it’s possible that our four-legged friends can stink up the house. Even if you bathe them pretty often, you will know when someone has a pet in the house. Some pets can have accidents and get some waste in the carpet or on the floor, leading to more unappealing scents. These will happen sometimes, so you have to be prepared. On the other hand, you might be coming into a home that has had pets before. If this is the case, the scent might still linger and you will have to get it as clean as you can. Thankfully, an ozone generator will also penetrate pet dander and other odor-causing bacteria. It doesn’t matter what sort of pet it was, whether a cat, dog, ferret, or even a fish. It’s a good idea to find the area in which the scents are strongest. If it is in carpet, you can spray down the area and try to remove the waste or dander as much as you can. It may not come up completely, but that’s where the ozone generator comes in. Simply setting it near the strongest areas will prove best results. Running it normally through the room is best, for about three to six hours. It will destroy the scents and make your room as fresh as ever. There’s no doubt that mold is dangerous to humans as well. Ozone generators are used in many mold remediation processes. 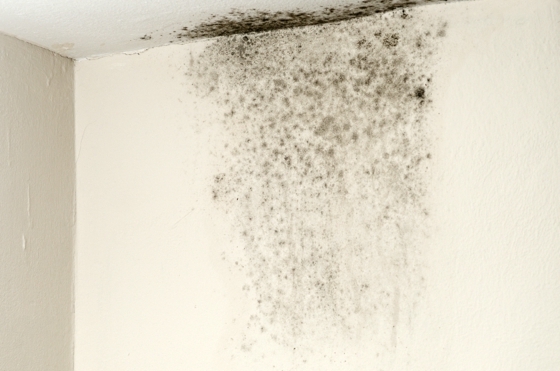 Both mold and mildew smell similar to each other, considering they’re both fungi. However, mold is toxic to humans and can cause a lot of sickness. Getting rid of the mold is the first step anyone should take before moving to remove the smell. After you’ve removed the mold, the scent will likely still be there. That means spores are still floating in the air and leaves the possibility of it spreading onto other surfaces. One of the sure ways to get rid of all the mold is to run an ozone generator in the room the mold was in. Setting it near the surface that it was on is a good idea. You should run it for 3-6 hours as you would in a normal ozone treatment for a room. After you’ve gotten rid of the mold and have run the ozone generator, you shouldn’t have any more odors around the room. Hopefully, you’ve fixed the water damage or whatever caused the mold to grow. If you haven’t, it’s very possible for the mold to come back and grow. This will cause the scent to return as well, of course. Keeping the odors out means to upkeep your home and surfaces. While probably not finding gasoline in your living room, there are other places you could have it. 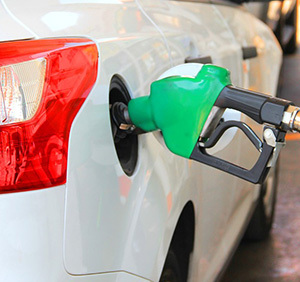 Gasoline can get on your clothes when you’re pumping it into your car. However, it is far more common to be in your garage. One of the best things about an ozone generator is the fact that you can use it in any area of the home. This includes the garage! Our vehicles can produce some pretty offensive odors. Whether it’s carbon dioxide, oil, or gasoline, our garages can get pretty dirty and smelly. Metal also has a strange odor after a long time of use, so you’ll want to run an ozone generator in your garage. Keep in mind that it’s a good idea to cover your metal tools and take your car out of the garage, considering ozone gas doesn’t mix well with metal. Running the ozone generator for a regular amount of time for a room is the optimum time. That means that you should run one for about three to six hours. Make sure those garage doors are down and the doors are shut. Ozone is somewhat dangerous to the environment, so you don’t want any escaping outside to harm other people or the area around it. Similar to the kitchen smells from cooking and other sources, food can put off a few strong smells as well. It is completely safe to run ozone over food. In fact, it is one of the most powerful oxidizer that can safely come into contact with food and water. Along with destroying pesticides or other harmful chemicals that are used on these foods, it will also eliminate the smell that may come along with it. There are many types of ozone generators out there. While many foods have already gone through oxidizing processes, you may want to make sure that they have. A personal ozone generator will be a great benefit for you and your food if you want to use it at home. Some companies skimp on the oxidizing process, so doing it at home applies an extra sense of security from those pesticides. Both the bad smells and the pesticides that may still be on will be destroyed by the ozone generator. There are smaller ones that you can attach to things like coolers and small, compact containers. However, you can also connect it to your water line and wash your food in ozone-filled water. There are plenty of ways to do it, but it doesn’t change the fact that you shouldn’t breathe it. If it’s in the water, you don’t have to worry about much. If it’s out in the open, make sure that ozone doesn’t get out of the container you’re using! Whenever you run water, you might smell a chlorine or even bleach-like scent coming from your faucet. This is possible if your lines are connected through your city’s water lines. Some cities do not have completely clean, sanitary water to drink from faucets. This can be a big city or the suburbs, but if you don’t have a well, it can be problematic. There are even some wells that have problems. The best thing for you to do is to get an ozone filter for your water. These filters are basically smaller ozone generators that pump ozone through your water. It will not only sterilize the water, it is also thought to have healing properties. While not much scientific research has been done on this, ozone is still potentially dangerous. Either way, ozone will diminish in water after about 10 minutes. If you don’t want to risk drinking ozonated water, simply waiting that line will make it completely safe and sanitary to drink. It will purify the cleaning chemicals that may have been added to your water line. A good rule of thumb is to fill a non-plastic pitcher with ozonated water and simply let it sit. Keep in mind that ozone can break down plastic, so make sure you use glass or some type of ceramic. Stainless steel and silicone are also good choices for ozonated water containers. If it’s a different type of metal, though, it could rust it really easily. 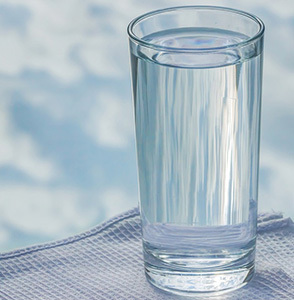 Either way, ozone water will return to regular, normal drinking water after 10 minutes, completely purified. This includes ozone generators in pools as well! While some people use ozone to purify their air, some people are very sensitive to the gas. People with lung diseases will suffer more than others. When using an ozone generator, it’s important to reiterate not to use them in occupied spaces. However, the air quality around you can degrade and become less favorable, even outside. It’s a good idea to take a look at your local weather to find the outside air quality before venturing out. That poor air quality can also come indoors. While ozone can remove odors, ozone itself can become an odor as well. There are ways to remove the ozone smell from your home, as well as the ozone itself. Over time, the ozone scent will dissipate and eliminate itself, but there are machines that can help you remove the ozone gas from your rooms. Fans can also help move the ozone from your home. Simply opening a window and facing the fan out will assist you in circulating it out, but there are ozone removers that you can purchase or rent to assist. Research has stated that activated carbon air purifiers can help. After all, ozone is basically an unstable molecule that is already trying to get rid of that third oxygen atom from itself. While our homes may be the prime area for odors to grow, there are other areas where it can be just as bad. While we don’t spend as much time in our cars as we do our homes, a vehicle can get pretty bad. Fortunately, you can use your ozone generator in your vehicle as well! Whether it’s a car or truck, you don’t have to drive around with a smelly car. Keep in mind that an appraisal can lower your vehicle’s worth as well if there are bad odors in your car. It’s relatively easy to use an ozone generator in your car. 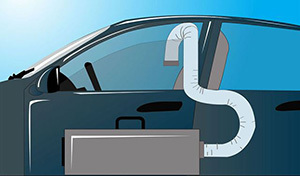 While the ozone generator might be set on the outside, you should use a hose or dryer vent to transfer the ozone gas to your car’s interior. You can do this by lowering the window and sticking the hose or duct through. Since it will only push through a portion of the window, you will have to cover up the rest of the opening in the window. Covering it is relatively easy, considering you can use anything to block the ozone from coming out. Most people use cardboard and tape up the openings, but you can also use dense cloths like washrags or towels. Another option is plastic bags. Anything that isn’t porous can work well to keep the gasses inside. Ozone shouldn’t be escaping, considering it can harm the environment around you. Remember to take out any sort of personal belongings from your vehicle as well. Running it for about thirty minutes to two hours will work wonders for your car. Be sure not to run it more than that, though. Running it longer than two hours will cause damage to your car’s interior, considering metal doesn’t interact well with ozone. Remember not to be in the same area or space as an ozone generator while it’s running. Ozone generators are somewhat dangerous to use, but they are the best odor-removing tool that you can use. While it isn’t an end-all type of machine, it will certainly help in the long run. It won’t replace cleaning or spraying furniture, carpets, or curtains. These materials will absorb a lot of odors if you don’t keep them clean, leading to things like that “locker room smell” or others. This gas can also eliminate things like pet smells, curry and food smells, as well as body odors. That’s not all, of course. Other scents like sweat and skunk smells are also odors that can be removed from your home with the use of an ozone generator. Normally, running it for about three to six hours can be beneficial. If you put it in your car, make sure not to run it for more than two hours. 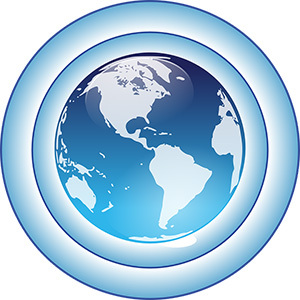 All in all, an ozone generator is something that everyone can use. Ozone is dangerous to breathe in, but if you don’t do that, it’s a great tool to eliminate odors. The gasses kill odor-causing bacteria in your home and car, whether it’s in a bedroom, basement, or kitchen. Never underestimate the power of odor—it can be offensive to anyone. Living around it can cause you to become used to the smell, so it’s a good idea to get a second opinion.